Free funnel PowerPoint template - Hislide.io - Free Download Now! 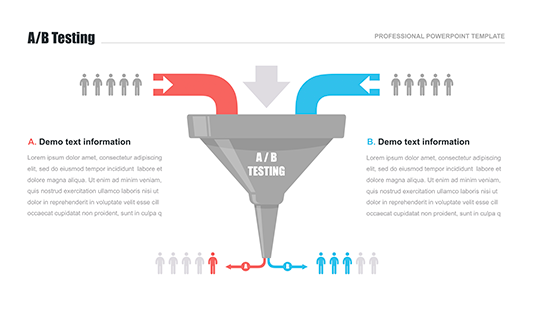 What is this free funnel PowerPoint template for? This free funnel PowerPoint template represents a horizontal funnel that is schematically divided into five segments. Each step is marked by a colorful circle and stands for one step. Text blocks are given below the funnel. Due to a multicolored design, this template looks rather vivid and will diversify every boring or monotonous speech. When a speaker is to develop a monthly report or a business plan, simple text slides are able to quickly bore the audience. The use of such a slide will shake up listeners and make your speech livelier. When a topic is overloaded with complex figures, statistics, the audience will hardly remember all of them. This funnel PowerPoint template for a free download will simplify the process of such data displaying. Therefore, it is a helpful element for office employees of different spheres of activities. High quality. Users prefer our templates because they do not feel inconveniences or problems while working with them. This funnel also has no defects and is successfully displayed on any devices. High-resolution screens are not a problem for this slide. Free download. If you need this element, do not hesitate and get it just right now. 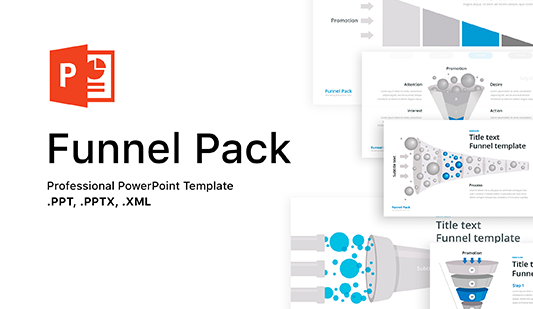 The funnel template for PowerPoint is available for free. Download the slide and work without difficulties. Multipurpose slide. This funnel will be suitable for various business, economic, marketing projects, reports. Besides high-quality results, a speaker also gets an excellent tool to demonstrate a high reputation and competence. Premade easy-to-use element. Additional background is not an obligatory condition for the usage of the free funnel PowerPoint template. Absolute every user copes with it. The slide makes work easier and saves time.